We analyzed how a successful bloggers make their money. Most people monetize through ads or affiliate marketing. These people do pretty well. Many of them make 5 figures per month. But the people making big money? They’re selling their own products. Recently, Mark sat down to talk to Josh from Expert Photography. Josh is selling his own products. His site is now a $1m+ per year business. But, the interesting thing these sites have in common is not just products they’re selling. It’s infoproducts. Or, more specifically, online courses. If you want to sell online courses, you have to turn your site into a membership site. The best way to do this is through a WordPress plugin, but which one is the best? What Are We Looking For in a Membership Plugin? Membership packages = levels of membership types with access to more or different content. To start with, you’ll probably have two types of users: members and non-members. But, you have to think about the future. Are you going to release more products? If so, you’ll need more than one type of membership. You also have to consider whether you want these memberships to be tiered. So, the basic package will get access to a certain amount of content. Do you want the intermediate package to get access to everything that the basic package gets plus more? Basic member gets access to everything the free member gets plus lessons 3-7. Advances member gets access to everything the basic member gets plus lessons 8-10. This on the surface seems sensible. But, if I look at our own courses. The Authority Site System (TASS) is for people starting a site, whereas AH Pro is for advanced people growing an existing site. Although AH Pro is more advanced and a higher membership level than TASS, AH Pro members buy TASS separately or as part of a bundle with AH Pro. The do not automatically gain access to the content. Are there going to be different types of memberships? How much ability you have to customize it membership packages? Arwer packages are automatically tiered? Can a user buy more than one product? You also need to pay attention to how many members the plugin allows you to have. Is it scalable if your site blows up? Is it affordable? You may also want to drip content. Imagine, you are selling a 16 week training plan to run a marathon. You may want to release this to your users one week at a time, so they don’t get too carried away, skip to the hard part and injure themselves. This scheduled release is content dripping and it can be useful for online courses. For me, it is important that a membership plugin has this kind of functionality. Ease of use = simple to set-up, add new users and change things as circumstances change. Managing members can be a real pain in the… neck. Whether you run a Facebook group, a WhatsApp group chat or a 100,000 person membership site, you know that it can get pretty infuriating. We’re looking for a plugin that makes this as easy as possible. Giving users the ability to manage their own information and reset their own passwords. We are going to have multiple membership levels. It’s important to see what the system looks like to each of these levels. We need to be able to see what the user would see so that we can spot and fix any issues. Integrations = integrates with relevant systems (e.g. ecommerce, payment processing, email, etc.) to make life easier. The membership system is going to be what separates the paid content from the free content. It will control what members and non-members can and cannot see. It will also prompt the user to purchase a membership if they try to access something they don’t have access to. As such, the system will ideally handle the payment. This means that I want it to integrate with the major payment gateways. Ok, everything integrates with PayPal. But, in my opinion, the PayPal logo should be a man in a striped jumper and a mask with a swag bag. I’d like the plugin to integrate with a payment processor with better functionality, aesthetic and, perhaps most importantly, more reasonable fees. For other integrations, I’d like the plugin to integrate with my email platform. Then, I can send out a welcome sequence of emails when new members sign up to increase engagement in the course. As always, we need the plugin to be value for money. This may or may not be free, but we’re looking for the cheapest plugin with all of the functionality that we require. Unfortunately, none of us live in a world where money is no option. So, if that plugin doesn’t exist we’ll have to make compromises to find the plugin that can do the most within our price range. MemberPress is one of the most popular WordPress membership plugins. Many people may not recognize them as they’ve recently rebranded (and they’ve done a pretty good job of it in my book). It allows you to set permissions based on some quite complex rules or by making broad, blanket rules. For example, you can grant access to an entire category or all lessons under a certain tag. You can make it as simple or as difficult as you like. This is interesting as it allows beginners to keep it simple but as your product range begins to grow out you can begin to add complexity. It allows users to upgrade or downgrade rather than purchase an entire additional package. In fact, it attempts to upsell users automatically, and it even downsells to users who are looking to cancel their membership. The plugin also caters to multiple memberships per member meaning that if you have a number of courses, the member can purchase them all. Oh, they also have unlimited membership levels and unlimited members. On top of all of that, it’s actually pretty straightforward to use. The system was built with simplicity in mind and that holds up for the most part. The only place it falls down is if you are trying to protect a number of individual pages. In this case, you need to write a rule for every single page. 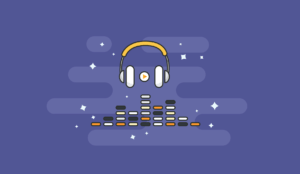 This may sound annoying, but, as long as you know about it in advance, you can organize your content in a way that makes it easier to add the access rules (e.g. using tags). 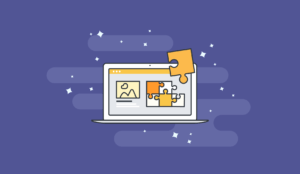 The basic version integrates with some of the major email platforms, but some (Active Campaign) are only available through the more advanced package. The chances are, that based upon your email platform, you will probably want to purchase the Plus package. This comes in at about $20 per month but it really is a great option. 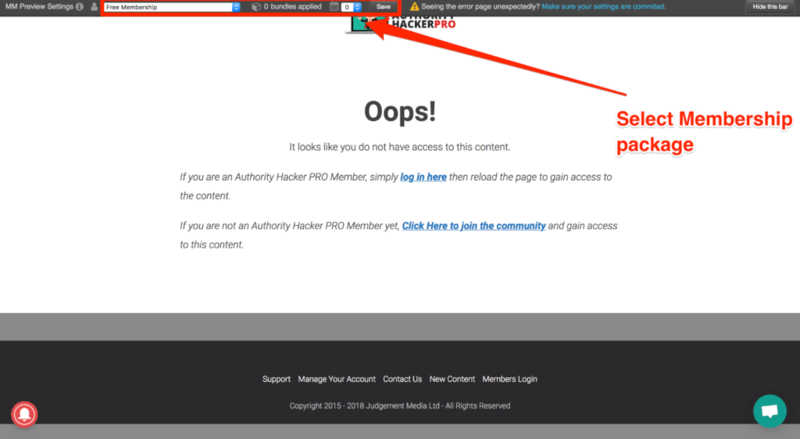 Restrict Content Pro was created by Pippin’s Plugins who are responsible for some pretty popular plugins (such as Affiliate WP — we actually this at Authority Hacker). But, for me, not quite enough. One thing that it does not include is content dripping. I did mention this in the requirements, but it is a nice to have rather than a must have. It’s promising that you can have multiple membership levels, but the issue is these are tiered membership levels. That makes difficult to have multiple products. You can workaround it when you create your products. The problem comes if your products don’t progress naturally. For example, if you had a wildlife photography course and wanted to release a portrait photography course. With tiered memberships, the customer would have to buy both courses to get access to the portrait class. For me, this is a dealbreaker, but if you know that you will only have one product then Restrict Content Pro could still be an option. It does a couple of cool things. For example, buyers can pay the difference between membership packages to upgrade rather than paying the full amount. It’s really easy to use and set up (partially because of the single set of membership types). In terms of integrations, it’s a mixed bag. To gain access to the most popular email integrations, you need to purchase the Professional package at $249 per year. On the other hand, the payment platform integrations are plentiful. Overall, I’d have to recommend the $249 per year package to get all of the functionality you require. This means it’s competing directly against MemberPress. My view is it just isn’t as good. Time to ‘fess up. We actually use Membermouse to run AH Pro. Despite that, I’m going to do my best to not bias the review. In fact, there’s one feature that may turn into a bit of a rant. 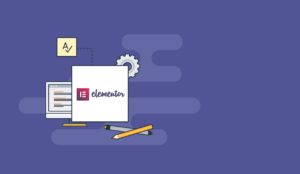 Membermouse can do just about everything we’re looking for in a membership plugin, but that doesn’t mean there aren’t drawbacks. For one, the ‘MM Preview Settings’. Everytime I access AH Pro, the membership type preview is activated. The free membership (with the least amount of access) is automatically selected unless you click a couple of buttons. I forget to click these buttons. Every. Single. Day. I know it’s my fault, but it’s infuriating. The second is probably our fault as well. But, our set up means that we need to add permissions for each membership type that has access to each lesson in each blueprint. Some blueprints can have 15 lessons and a homepage. There are 8 different membership bundles available to access it. This can end up being a very time consuming task. However, the membership types and memberships bundles are great. The work exactly as we want them to work (as described above). For the most part, it’s also fairly easy to use (despite my grumbles). To be honest, there isn’t a great amount of options with either. We use Stripe for payment processing and Active Campaign for our email platform. The major drawback is the way that Membermouse do their pricing. As you can see, it starts off at the same price as MemberPress and Restrict Content Pro and it only goes up from there. 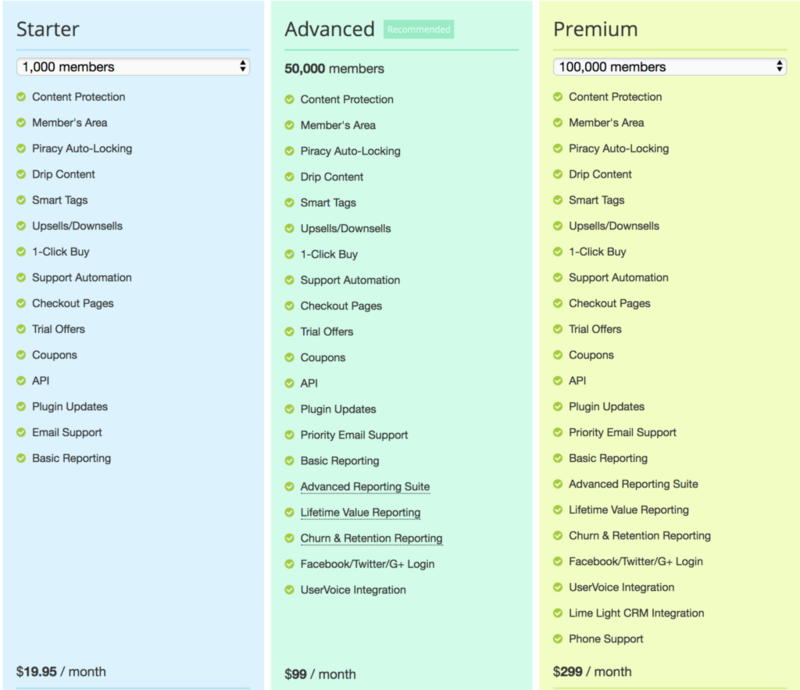 Overall, Membermouse is a solid option for a membership plugin. It does what it needs to do and it does it well but there are a few issues there. The s2Member website might be a steaming pile of c**p, but it might just be worth looking past that and giving them a second chance. s2Member is on the opposite end of the spectrum to Restrict Content Pro. While Restrict Content Pro may suffer from a lack of functionality, s2Member may just cross the line from feature full to feature ridden. If you can think of it, s2Member can do it. s2Member allows you to have unlimited membership levels in the same manner that Membermouse and MemberPress do. That is, unless you choose to go for the free version. Word of warning, if you do choose to go for the free version you will get one free membership level and four paid membership levels. This may be a good way to start with a single product and if it takes off, segue into the paid version once it becomes time to introduce other products. Within the free version, the membership levels are tiered. 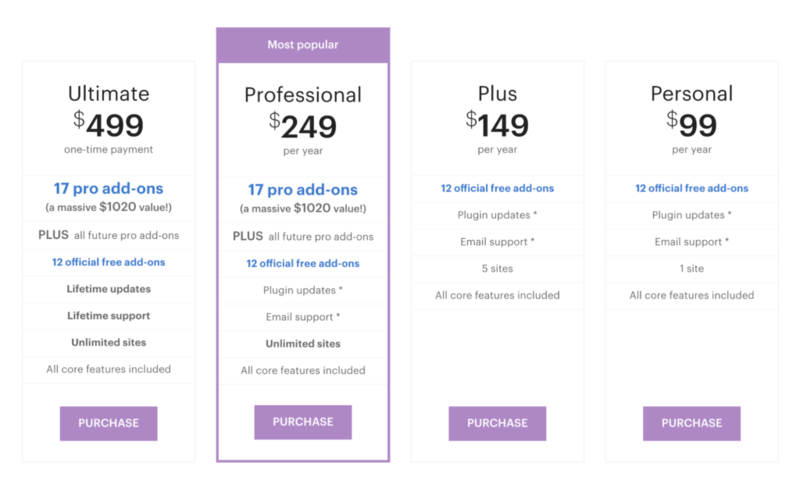 I have outlined before why this is an issue but it’s less so if you are going to use the free version for your first product and then pay later. s2Member everything through shortcodes. This sounds good but, for me, too many shortcodes ends up complicating things. For example, managing drip content with shortcodes is just too confusing. s2Member only integrates with a couple of email providers (MailChimp, Aweber and GetResponse) and the same goes for payment processors (PayPal, Stripe. Authorize.net). What’s interesting about the plugin is that s2Member only charge a one off fee rather than something that is recurring. For a single site, the pro version is only $89. Overall, I’d probably steer clear of s2Member just because of the lack of integrations and the complexity of it. It fails the ease of use test. However, if you’re looking for a relatively cheap but powerful plugin, s2Member is an option. You’ll just need to work through the pain. WP-Members is a completely free membership plugin for WordPress. It differs from the others because it’s not designed to be a comprehensive plugin. Instead, it’s designed to be simple, lightweight and meet the needs of a very specific group of users. It’s not trying to be all things to all men. With WP-Members you can only distinguish between members and non-members. So, basically you have two tiers of users: people who pay and people who don’t pay. This sounds limiting to me in my aspirations to build a series of online courses, but imagine you just want to put a paywall up. It’s perfect. Paid members can see what is beyond the paywall, everyone else will be prompted to sign up. The plugin is setup to be very easy to use within this single use case. There are some add-ons available to enhance the functionality of WP-Members from the parent company – Rocket Geek. These include a MailChimp integration and a PayPal integration. However, in terms of other integrations, WP-Members is severely lacking. This is where my perception of WP-Members starts to shift from “sleek, simple, designed for a purpose” to “lacking functionality and doesn’t have what I need from a membership plugin”. Overall, WP-Members is an option for people who have a plan in mind and are going to keep things simple but it just doesn’t have what I am looking for. 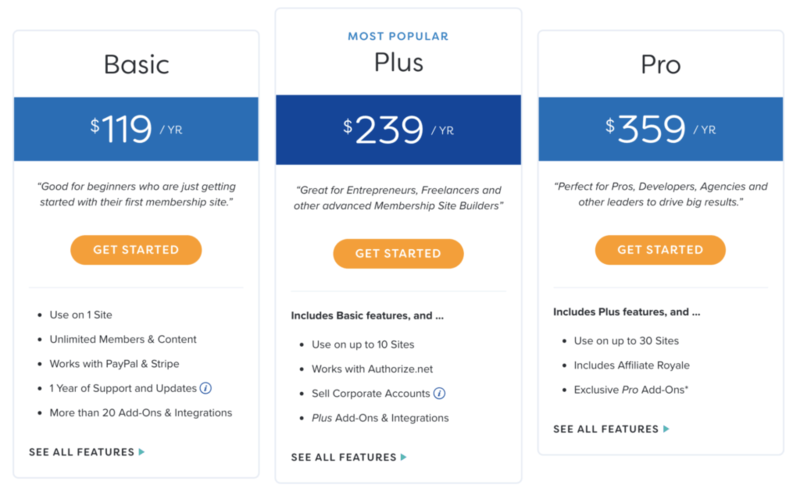 What Membership Plugin Should You Get? Having looked at all the options, MemberPress gets the nod from me. We use Membermouse at Authority Hacker, and we know that it’s good but I just think MemberPress offers more for less money. Restrict Content Pro is an ok alternative, but you need to know what you are getting into beforehand. Especially when it comes to tiered memberships. Otherwise you may end up being disappointed. I wouldn’t recommend either s2Member or WP-Members. They just don’t cut the mustard as far as I’m concerned. So, there we have it, MemberPress is our winner!